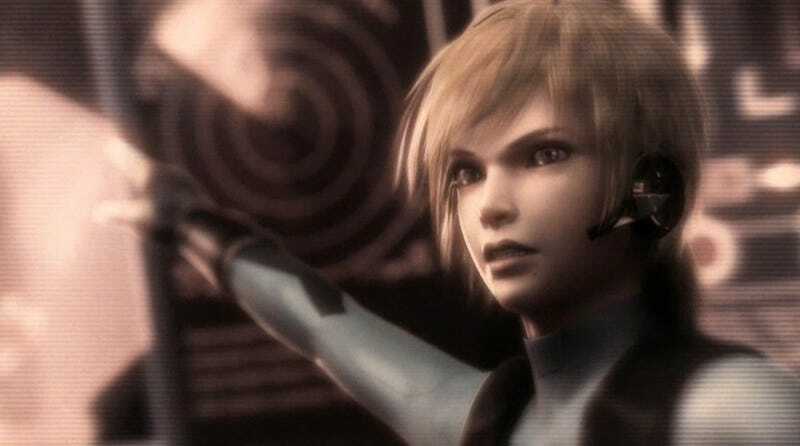 Once you finish playing next month's Metroid: Other M on the Wii, you can watch it. A "theater mode" will stitch the game's cut-scenes and some pre-recorded gameplay into a Samus epic. The storytelling aspect of Other M continues to play a major role even after you beat the game, the way [Nintendo designer Yoshio] Sakamoto puts it. "There's a 'theater mode' that lets you view all of the cutscenes linked together seamlessly as a single movie," he explained. "We placed just as much weight on enjoying the story as we did on the action aspects of this game, but it's hard to fully communicate a storyline in a video game with just one playthrough. At the same time, though, it's asking a lot of players to beat the game twice to get it all, so that's where the idea for that mode came from. It lets you make a lot of discoveries, things you missed or dialogue that makes more sense in retrospect. I hope it helps people understand the story better." This theater-mode movie is about two hours in length and divided into chapters like a DVD film. It's not just the movie cutscenes straight from the game, though — there's some pre-recorded gameplay bits to it as well, although those sections aren't recorded off your own moves as you beat the game. "I wanted to do that," Sakamoto said, "but we're using our own sample play data instead because that's also a way of giving the player hints — like, you can beat this particular boss this way too, and so forth." Another notable tidbit: the game's creators believe players will only find 30% of the game's items on the first play through. I think Metroid players who pride themselves on discovering each entry's secrets will consider that a challenge.